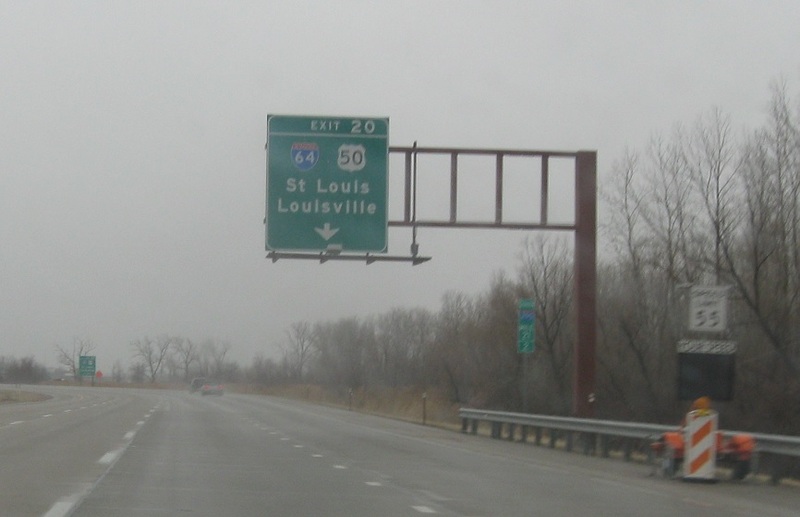 Reassurance shield after the I-55/I-70 junction. 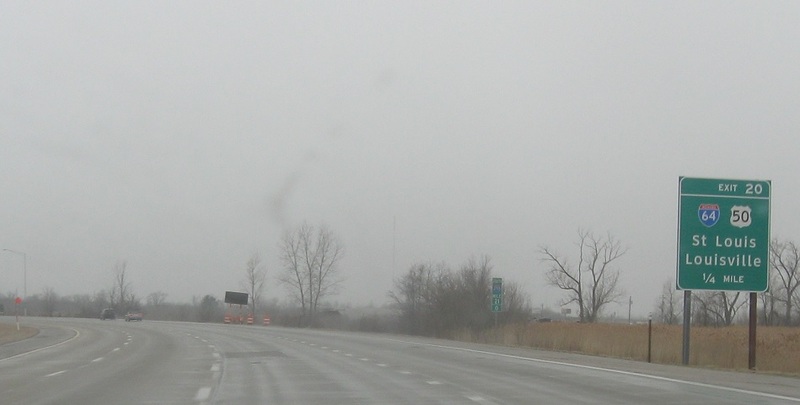 Just after the 55/70 junction, we’re two miles from I-64. 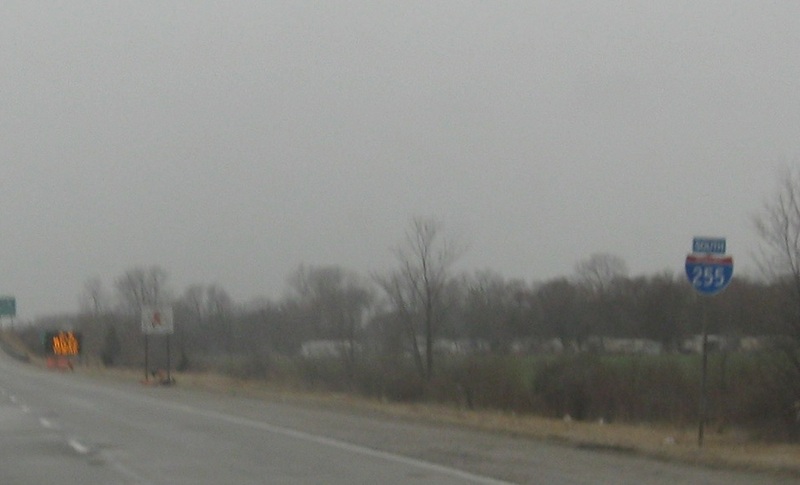 1 mile to Interstate 64. 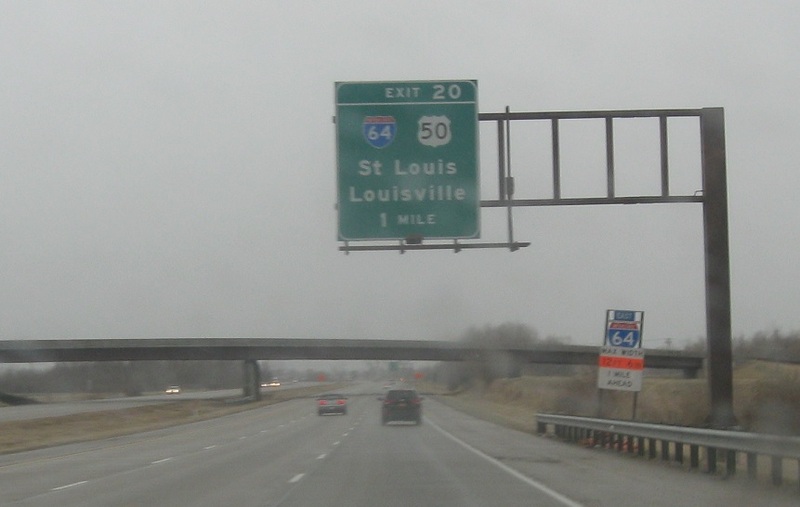 Follow 64 west into St. Louis and 64 east/50 east towards Louisville, Ky.
Exit for I-64 and US-50 east. 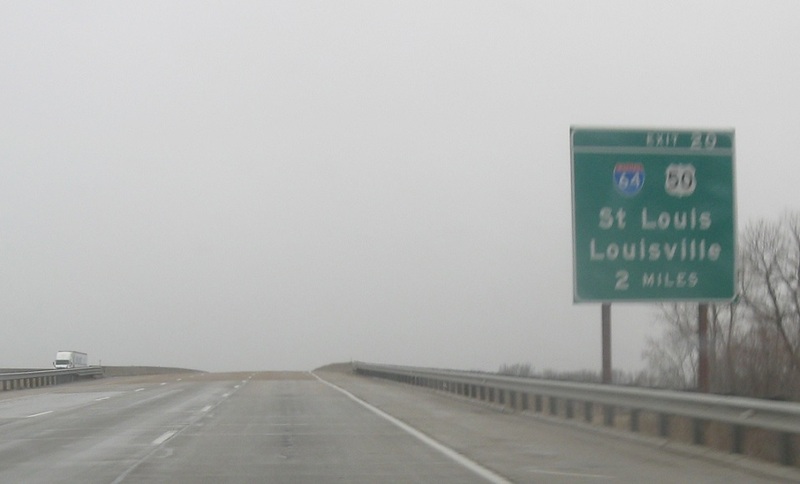 US-50 west joins I-255 into Missouri. 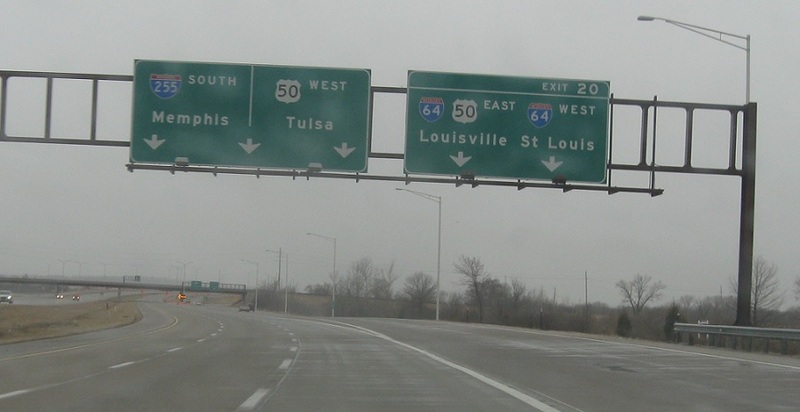 Tulsa, Okla. and Memphis, Tenn. make appearances as control cities here.